John James Rambo is dead. No, I mean, seriously. Rambo died, like, a long time ago. movies he starred in, but fewer realize John Rambo actually made his first appearance in a book, David Morrell’s First Blood, which was first published in 1972. The book differs quite dramatically from the First Blood movie that hit theaters in 1982, most notably in its ending. SPOILER ALERT: John Rambo does not walk away in the book; he is shot and killed by Special Forces Captain Sam Trautman. In fact, an alternate ending of the movie has Trautman (played by Richard Crenna) killing Rambo as well. Of course, it would have been extremely difficult to make Rambo sequels if the title character was deceased, so he did not meet his demise at the end of the first movie. I haven’t seen the fourth movie, Rambo, but I did notice a common theme which emerged from the first three films: John Rambo was not particularly keen on fighting and killing. He could rise to the occasion when he had to and leave an impressive trail of carnage behind him, but he generally tried to keep to himself and avoid violence whenever possible. Rambo didn’t remove himself from the presence of people because he was shy or was really into meditation or anything like that. He got the heck away from everyone because he knew every time he was around a bunch of people, somebody was going to die. It might be part of a mission or it might be a misunderstanding between he and the locals, but whatever the case, wherever John Rambo went, death came with him. There was a time in my life that I honestly believed I was cursed. I believed that anyone who came into contact with me was not going to successful at whatever they were trying to accomplish. If I was involved in what you were doing, it was not going to go well. If your life was going pretty well when you met me, you could be pretty sure it wasn’t going to stay that way. I wasn’t even sure where this curse came from; I actually just thought it was me somehow. Wherever I went, bad stuff happened. I don’t have quite as fatalistic view these days, but there are still definitely times when I remove myself from situations because I believe I would be a detriment. I believe a lot of people do this and don’t even realize it. They become so convinced that nothing good can come out of them that they begin to project that onto other people and situations as well. If a normally healthy person gets sick, it’s because they came into contact with them. If a normally successful person falters, it’s because they drug them down. If someone who is usually happy becomes depressed, it’s because they altered their mood. Now, Rambo was always forced back into action by Trautman or some other situation which demanded him to re-engage, and probably each one of us who has felt the urge to run away and hide have faced similar moments of truth. With Rambo, though, everyone knew he was going to deliver once he got out there. With us, eh, not so much. We might succeed, but we might also fail spectacularly. When we try to tell someone this, however, they tell us how silly or melodramatic we’re being. They don’t understand that we have totally lost our confidence in ourselves, and that we believe we are carrying death with us wherever we go. 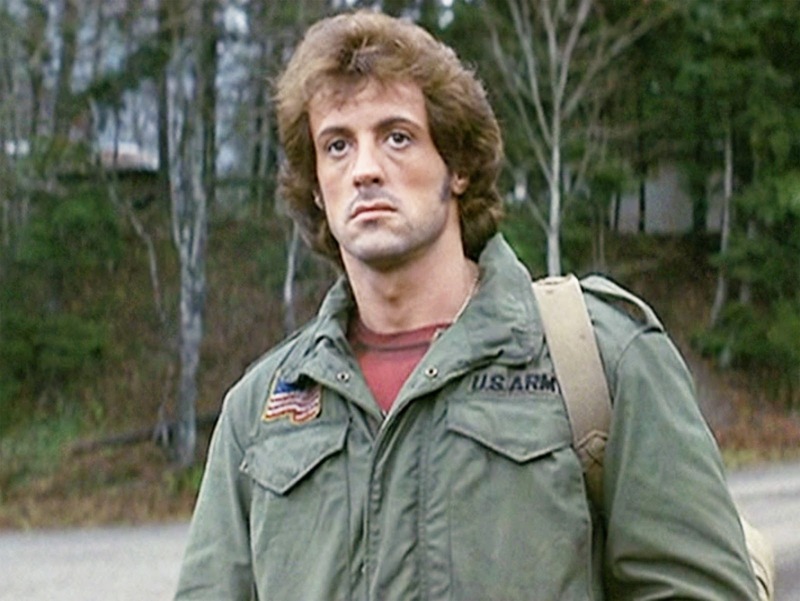 I’m sure the John Rambo who went on to be featured in three more movies after First Blood wished sometimes he could have had the fate of the John Rambo who died at the end of the book. That way, no one else gets hurt because of him. Without him, though, an awful lot of positive things would never happened. That’s what I and everyone else who has ever struggled with this feeling fight so hard to grasp: We really do serve a purpose and function, and we really are capable of doing good in this world. The John Rambo in us doesn’t have to die. He sure may want to sometimes, though.